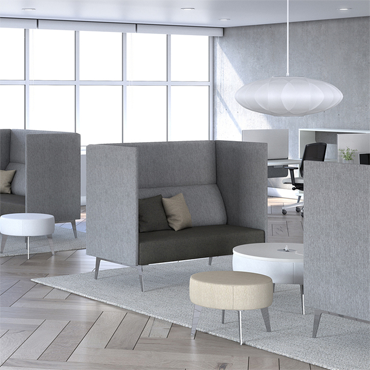 (Chicago, Il - February 2019) When it comes to commercial interiors projects, there’s no doubt that the human experience is the universal common denominator, the most important consideration when designing a built environment. Beginning with a powerful keynote lineup headlined by Robin Standefer and Stephen Alesch, Ilse Crawford, and Liz Ogbu, the 2019 edition of NeoCon (June 10-12 at the Mart in Chicago) shines the spotlight on human centered design. This focus also takes shape as over 500 brands introduce innovative solutions across vertical markets including workplace, hospitality, education, healthcare, government and residential. Monica DeBartolo, Director of Programming for NeoCon says, “While they hail from diverse backgrounds, our 2019 keynote presenters have all explored, studied and implemented practices and methodologies that focus on empathy and the human experience. This will come to the forefront in their dynamic presentations and will also be explored in NeoCon's robust CEU seminar program, which boasts over 100 sessions across a number of educational tracks. Whether it’s a corporate office, boutique hotel, urban environment or public space, ultimately it is the fundamental needs of people that will help define the future of commercial interiors." The opening presentation features multidisciplinary designer Robin Standefer, who will address the “Familiar and Unusual,” followed by a Q and A along with Stephen Alesch. Having first worked together for a decade designing sets for Hollywood films, Robin Standefer and Stephen Alesch founded Roman and Williams Buildings and Interiors in 2002. The pair have forged an ability to create projects without boundaries or borders, employing a range of materials, objects and references—from the unexpected to the pedigreed to the mundane. They are designers of interiors, buildings, furniture and objects whose philosophy has spearheaded a movement in the industry against corporate modernism. The spaces they create reflect the narrative of the people who occupy them as well as the couple’s singular vision which gives their design a sense of power and cohesion. Ilse Crawford is a designer, academic and creative director with a simple mission: to put human needs and desires at the center of all she does. As founder of Studioilse, together with her multidisciplinary, London-based team, she brings her philosophy to life. This means creating environments where humans feel comfortable; public spaces that make people feel at home; and homes that are habitable and make sense for the people who live in them. It means designing furniture and products that support and enhance human behavior and actions in everyday life. It means restoring the human balance in brands and businesses that have lost their way. No matter the project, the emphasis is on listening and responding to human needs and the requirements of those who live, work and interact in the space. This human centric approach extends beyond programming into a myriad of product launches from leading manufacturers on every floor of the Mart. 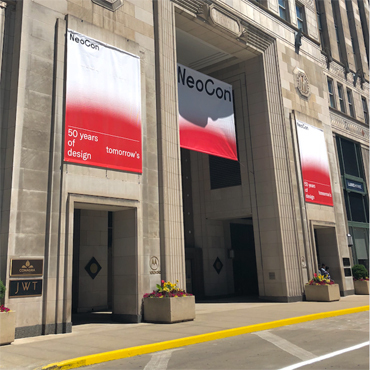 NeoCon attendees will be among the first to encounter the next frontier of products addressing these needs from NeoCon showrooms such as Humanscale, Haworth, ESI, Workrite, Steelcase, Herman Miller and Allsteel as well as 7th Floor exhibitors Pedrali, DeVorm, Framery, Mikomax and Narbutas to name a few. 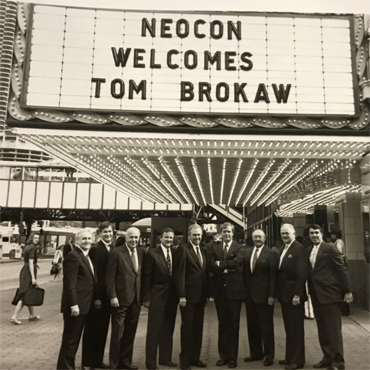 NeoCon is open to trade, media, C-Suite executives and other industry-related professionals. Registration is available online at www.neocon.com. Expo: online registration by June 7th - free; On-site registration - $65. Keynote Presentations: free. CEU Seminars: online registration by June 7th - $65 each; onsite registration - $75 each.